Son of a Grocer, SuperMarket Man, and early President of the Pennsylvania Grocers Association, I admire the Professionalism chains like Wegmans® bring to the retail channel. High time for all Green Grocers, Fish Mongers, Charcuterie and more to take pride in long established professions. No matter what the specialty, I appreciate a maven to answer my questions, advise me, and elevate my own knowledge of food. Damn how I wish I had a snappy uniform in my day, like Wegmans® issues today. Also to work in an upscale Charcuterie, like this rather than just sling cold cuts. 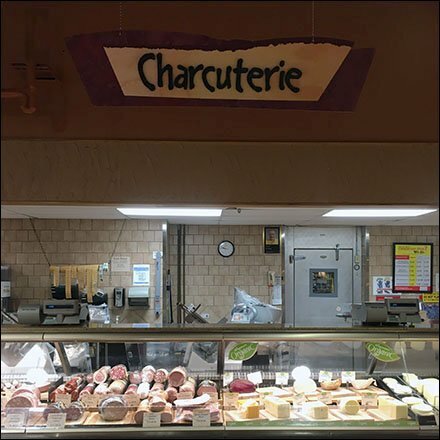 This Charcuterie As Grocery Specialty Department admired at Wegmans.